​They​ don't have any caps on claims and also give back to the pet community. However, ​they don't ​offer any additional ​coverage for preventative care or coverage for your pet outside of the country. This is why I put this ​Healthy Paws Review together. To help you see how ​fast and straightforward ​Healthy Paws makes it for you to apply for ​pet insurance online and ​​to have your pet covered with some of the best benefits in the industry. Enjoy! *Rates based on an ​1 year old ​mixed breed kitten​​ who is​ getting covered with 70% Reimbursement and $500 Annual Deductible. ​Who Is ​Healthy Paws Pet Insurance? Even though I don't currently have a pet, my husband and I plan to ​add a ​Doberman Pinscher to our family in the near future. With me being a life and health insurance agent I am sure you can guess that getting pet insurance was one of the first things that came up for us when we were going over all things Doberman. ​Since I understand how health insurance works ​for a pet parent, I immediately ​knew how pet in it would work for our future Doberman. In this review today, I am going to show you how Healthy Paws Pet Insurance enrollment process works, what the policy covers, and why it's one of the best options when searching for pet health insurance for your Dog or Cat. 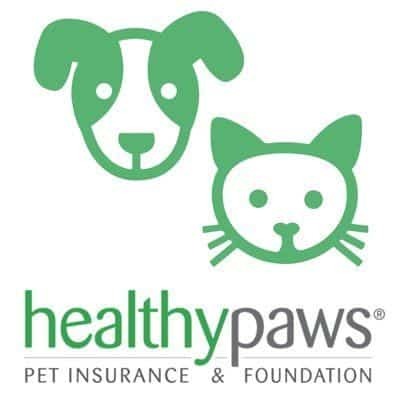 Healthy Paws Pet Insurance is an ​insurance agency ​that has partnered with ​ACE American Insurance Company. ​ACE American Insurance Company has been around since 1945, and you probably have never heard of them. ​​However, on July 1st, 2015 they became the worlds largest publicly traded property and casualty insurance company with the purchase of the Chubb ​Corporation for $28.3 Billion. ​After the purchase, ACE ​adopted the Chubb name globally. ACE Limited & Chubb Limited ​are rated (A++) Superior by AM Best. ​While it is great that Healthy Paws is ​continuously rated #1 in customer service by all of the top review sites, ​what's even more ​amazing is that they have the Highest A.M. Best rating. ​Along with being backed by one of the most financially sound insurance companies. Healthy Paws also has been rated number 1 several times from all of the top review sites for having the best customer service. Customer service is always an important factor, especially when it comes to purchasing something for our family members. ​"Healthy Paws has been taking care of my German Shepherd for many years now, and Caesar would not be where he is today without them. He had multiple hip issues that required a total hip replacement on both sides and Healthy Paws was always there to step in and help cover his medical expenses. They even covered him when he needed endless amounts of physical therapy and medication while he was recovering. He is living and walking pain free because of the excellent support that Healthy Paws provides. They are the best decision I ever made and all future pets will immediately get covered by Healthy Paws. I highly recommend them to any potential pet parent!!!!" ​"We didn't expect we'd actually be using the insurance before our dog even turned a year old, but between some bad luck and a bird-catching pup, we added up the vet trips. I'm so glad we had healthypaws to help with those expenses! The process was easy, their customer service was excellent when I had questions and payments have been prompt." What Makes ​Healthy Paws Different? What makes ​Healthy Paws so different is that they offer no caps on claims, which is in essence, unlimited benefits. ​​Healthy Paws also covers hereditary & congenital conditions that other companies don't include or include with limited coverage. ​Healthy Paws also covers hereditary & congenital conditions that other companies don't include or include with limited coverage. ​​Healthy Paws has only one plan which is excellent; it stops you from having information overload. ​​I am glad that Healthy Paws offers an Annual Deductible instead of a Per-condition Deductible. ​​You only have to meet the deductible once a year, for whatever condition or conditions that may happen. ​Let's say you have a $250 Annual Deductible ​with 90% Reimbursement. ​You would pay the first $250.00 since that is your deductible and then you would only be responsible for 10% of all costs for the rest of the year. ​So you would pay a total of $625.00 for the chronic ear infection. At that point, any additional issues or conditions would be covered at 90%. ​With a Per-Condition deductible, you would be in a situation of paying a new deductible each time something new came up. ​An Annual Deductible not only will save you more money, but also keep you from having to keep up with how many times a condition has happened when it's time to file your claim. ​​​​Healthy Paws is the only insurance company that offers unlimited lifetime benefits with an annual deductible at no additional cost. ​There is no annual maximum for the ​number of benefits that can be paid. ​If your pet had a really bad year, you wouldn't have to worry if they would be covered. Once you meet your Annual Deductible, Healthy Paws will cover you for whatever Reimbursement amount you chose for the rest of the year with no caps. Some companies have your annual benefits maxed out at a specific amount. Some companies will only cover your pet for up to $10,000 in benefits per year. This means that if your pet has a bad year with accidents or illness, once the bills hit $10,000 the insurance company would no longer cover your pet for the rest of the year. You can understand that even though the premiums might be lower for your coverage on a month to month basis, your costs could skyrocket if you surpass your maximum before the year is up. ​As long as you enroll your pet before the age of 14, your pet is covered with Healthy Paws​ for life, as long as you pay ​the monthly policy premium. ​"A pre-existing condition means that the condition first occurred or showed clinical symptoms before your pet's coverage started (including waiting periods). Our pet insurance protects you against future conditions, and unfortunately, no pet insurance company can cover pre-existing conditions." ​If your Cat or Dog is suffering from a condition, before you get your coverage, Healthy Paws will not pay out on a claim for that specific condition. ​Healthy Paws will only cover your pet while you are in the United States and for a short time in Canada. 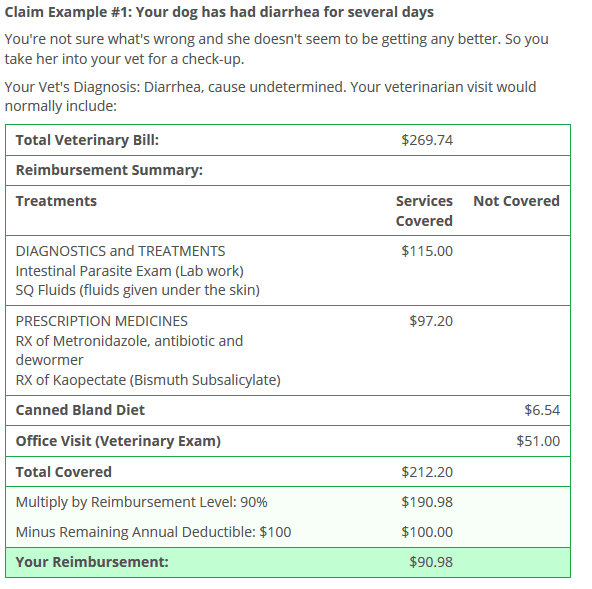 ​Unlike some companies, Healthy Paws is going to reimburse you based on your actual vet bill. Once you have paid your Vet, all you need to do is use the Healthy Paws App to send over a copy of the bill to be paid out on the claim. 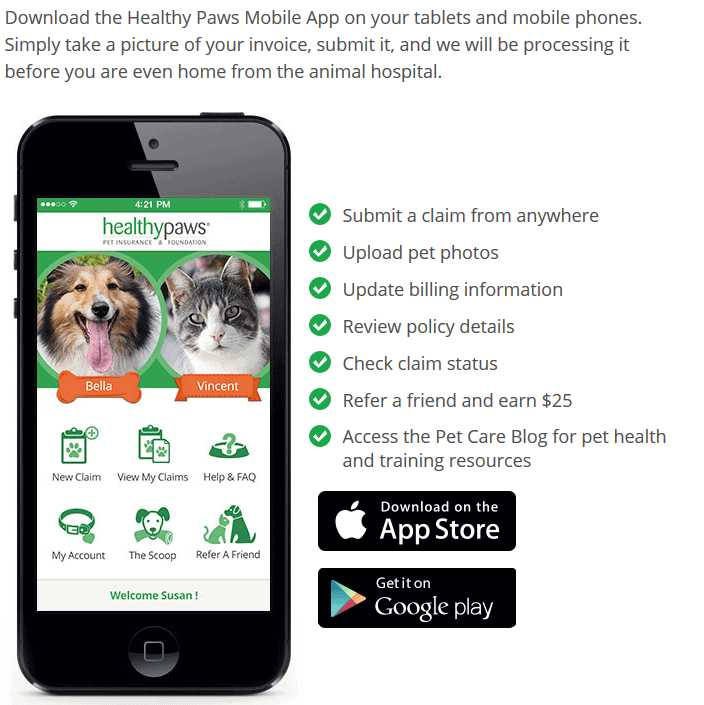 ​The Healthy Paws Mobile App is now allowing you the ability to ​just take a picture of your receipt and upload it to the app to file your claim. *Choice will vary depending on pet’s age. ​​Lifetime coverage for dogs and Cats enrolled before the age of 14. ​15 day waiting period for​ accident and illness. ​12 month waiting period for hip dysplasia. ​Pets less than 6 years of age must have had an exam within 12 months prior to enrollment otherwise they must have an exam within 15 days from the enrollment date. ​Pets 6 years or older must have had an exam within 30 days prior to enrollment otherwise they must have an exam within 15 days from the enrollment date. ​Along with the cost of pet insurance, we also have to think about the cost of not having pet insurance. ​Check out this great resource about why you probably need to get your pet covered and how much money you can save. There is a waiting period of 15-days after your pets' policy effective date. ​The policy on your pet is effective 12:01 a.m. the day after you enroll your pet(s) with Healthy Paws Pet Insurance. You can submit claims for accidents & illnesses that occur after the 15-day waiting period. Hip Dysplasia coverage is provided at no extra cost and is subject to a 12-month waiting period. ​​Healthy Paws Offers a 30 Day Free Look period; basically, this is how we say a "30 Day Money Back Guarantee" in the insurance world. If you have not filed a claim and decide to cancel your policy within the first 30 days, Healthy Paws will give you a full refund. No questions asked.​ This is an excellent way to at the least get your pet covered and see if you like it. ​Healthy Paws Offers a 30 Day Free Look period; basically, this is how we say a "30 Day Money Back Guarantee" in the insurance world. Healthy Paws has a ​solid foundation for helping pets. It goes by the name Every Quote Gives Hope™. When you get a pet insurance quote​, Healthy Paws donates towards a homeless pet's medical care by making cash grants to pet adoption organizations. You can check out all of the amazing stories and the pets that have been helped through this program here. I know my ​Healthy Paws review is one of the longer ones out ​here. If you have been holding off on buying ​pet insurance for any reason, I say give the 30-day free look period a shot. ​*Disclosure - ​Policies are underwritten and issued by ACE American Insurance Company, Indemnity Insurance Company of North America, ACE Property & Casualty Insurance Company, Atlantic Employers Insurance Company, and Illinois Union Insurance Company, members of the Chubb Group.